There are nowadays so many sub-genres of extreme metal (death, thrash, metal core,...) that juggling some of these terms to describe a new band doesn't really tell you that much anymore. When the label info stated that Red Death from the state of New York play thrash metal with the ferocity of metal core (or was it the other way around? ), I was rather expecting something in the vein of Dillinger Escape Plan that what I got to hear. External Frames Of Reference, the band's debut longplayer, sounds a lot like modern Swedish death metal (Amon Amarth, The Crown) with a furiously barking vocalist, probably the band's link to metal core. The songs are played at a moderately fast pace, always leaving moments for speeding double bass attacks, all kept in harmony by the two wonderfully synchronised guitarists. This way, the album keeps an aura of aggression and of lyrical beauty at the same time. Anyone into the melodic school of speedy Scandinavian death metal will absolutely not be disappointed by this concise piece of sonic aggression. 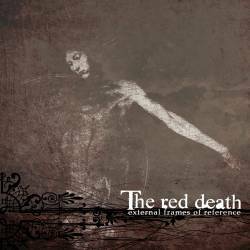 What Red Death (who took their name from an Edgar Allen Poe short story) do need is more memorable songwriting, something which will stick in your mind instead of this constantly good, but never surpassing, stream of songs. We remain with a professional and promising young band that understands already perfectly to blend European death with American core, and only the future will tell how well they can improve in the future. My guess is that there is much yet undiscovered.